Hong Kong’s HKUST Business School and Russia’s Moscow School of Management SKOLKOVO have joined forces to launch a new Executive MBA program for Eurasia. HKUST has a rich history of successful partnerships globally—its joint EMBA with Kellogg School of Management is ranked number one in the world by the Financial Times. This new program is breaking new ground however, representing a major step forwards for HKUST in opening up new markets. It will focus on business within the framework of the One Belt One Road Initiative proposed by China’s Xi Jinping—a massive infrastructure development project along the old Silk Road trade route. 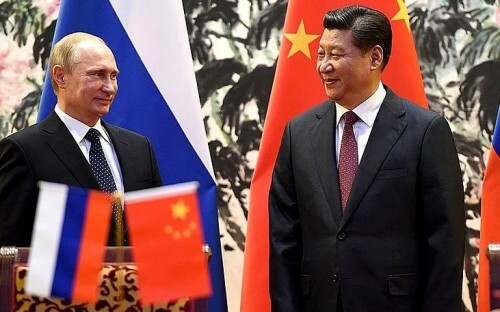 This collaboration between a Russian and Chinese school can be seen as a direct result of China’s growing global influence and economy, and efforts to play a larger role in global affairs and to develop a China-centred trading network. “The new partnership program seeks to develop business leaders for Eurasia, meeting the needs of the growth in the region and supporting the development along the Belt and Road countries,” he said. The new EMBA—due to commence in winter 2018—will be offered as a part-time course over a period of 17 months. It will be taught in English and will cover six international modules in the US, China, Israel, Kazakhstan, Switzerland and Russia. With business education not as popularly sought in the Eastern European region as it is in the US or Asia, it is hoped that these new business opportunities around the Belt and Road Initiative will draw people to the program. Associate dean of HKUST, Prof Steven DeKrey—who has experience in the US, China and Eastern Europe as the founding director of the Kellogg-HKUST EMBA program and chairman of the international academic council at SKOLKOVO—said: “The new program aims to provide advanced education in leadership and management to corporate leaders and entrepreneurs targeting or doing business in Eurasia. With America stepping back from leading global trade under Trump, there is an opportunity for China to step into the void. If the One Belt One Road Initiative is a success, then participants on the new joint Executive MBA program will be uniquely placed to reap the benefits.